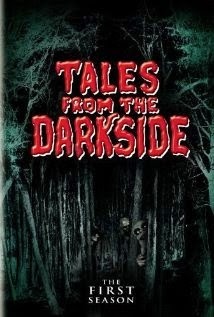 Paranormal Pop Culture: 'Tales From the Darkside' Reboot Returning to the CW? 'Tales From the Darkside' Reboot Returning to the CW? It looks like the days of television horror anthologies like "The Twilight Zone" and "Tales From the Crypt" will be returning soon. While both of these shows have been long rumored to return, it appears that the CW is looking to reboot George A. Romero's 1983 series "Tales From the Darkside," a spin-off of the "Creepshow" films. Deadline reported earlier that Alex Kurtzman, Bob Orci and Joe Hill, are partnering with the CW to bring about the return of the show. Writer Joe Hill is no stranger to the world of horror, as he made an appearance as Billy in the original "Creepshow" movie. Oh, his father is also the master of terror himself, Stephen King. Kurtzman, Orci and Hill previously teamed up on a television adaptation of "Locke & Key" for Fox, however it never moved farther than the order for a pilot. While it's still in the very early stages of development, we here at Paranormal Pop Culture will keep you posted on this project.